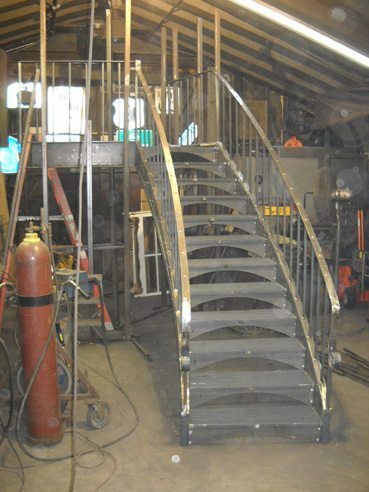 Curved metal staircases can have an open modern or contemporary look when fabricated with a double stringer system. 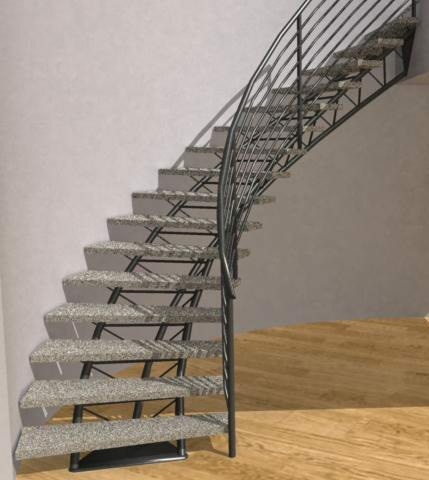 These metal staircases are available with nearly any type of tread & handrail style. The two metal stringers are the support structure under the treads, creating a very strong and precisely fabricated system. Since the staircase is fabricated this way it is also easier to ship and install than other stairs. These stairs have heavy-duty beams (stringers) that make the stair capable of handling 300 lbs per tread, and can go up nearly any height. 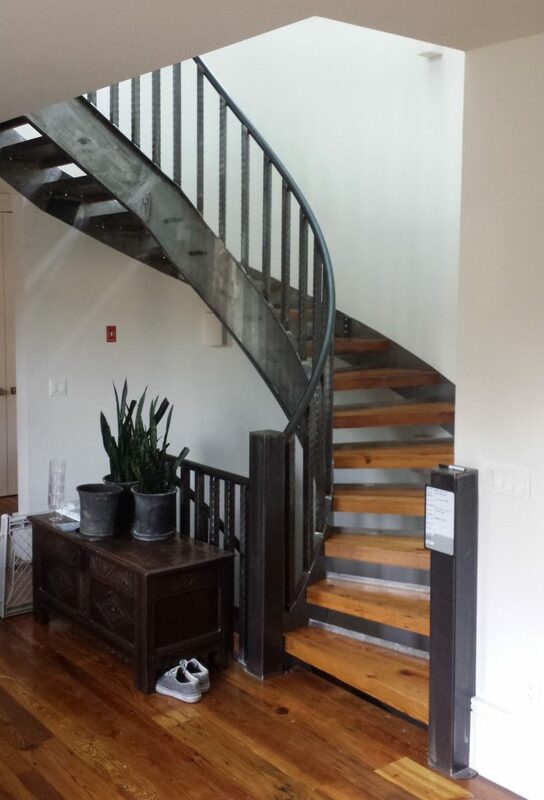 We can make the curved double stringer staircase work for interior or exterior applications. We can accommodate all kinds of contemporary and modern stair layouts from very slight curves and wide radius, to 180 degree turns with small inner diameters.